Mandy Savery-Whiteway, Director of Education, will retire on August 30, 2019. January 15, 2019—Mandy Savery-Whiteway, Director of Education with Hastings and Prince Edward District School Board will retire on August 30, 2019. Savery-Whiteway has dedicated her professional life to education for 35 years. She has been with HPEDSB for 33 years, with the last 12 as a member of the HPEDSB leadership team. “Mandy has been an exemplary leader of HPEDSB. Her passion for education that began many years ago grew into a lifelong love of teaching and learning. I’m aware that under her leadership, the strategic plan priorities and goals have become embedded in the work done each and every day. On behalf of the Board of Trustees, I’m looking forward to continuing to work with Mandy in support of student achievement and well-being,” said Shannon Binder, Chair of the Board. Savery-Whiteway, who grew up in Trenton, has always been proud to share that she is graduate of HPEDSB. Her post-secondary education was at the University of Toronto and Charles Sturt University, Australia. From 1984 to 1986 she worked at Peel District School Board as a classroom teacher. During her time at HPEDSB, Savery-Whiteway has taken on roles of increasing responsibility. Her career with HPEDSB began in 1986 as a teacher at Trenton High School. In 2002 she served as vice-principal at Bayside Secondary School, then as principal at Centennial Secondary School from 2003 to 2007. She was appointed as a system principal for Student Success in 2007, then as assistant superintendent followed by superintendent in Human Resources between 2010 and 2013. She also served as an education officer with the Ministry of Education in 2009-2010. In 2013, Savery-Whiteway was appointed to director of education. 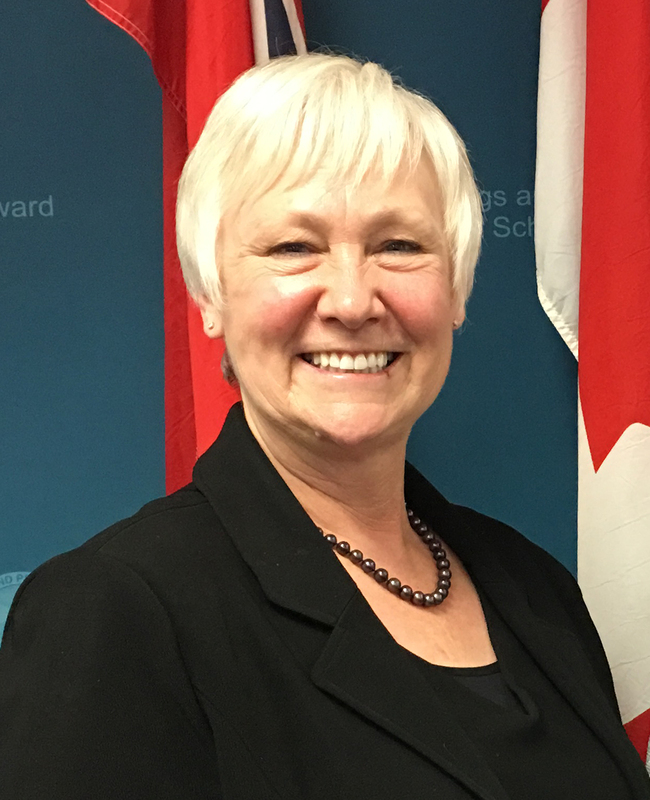 As a member of the senior leadership team, Savery-Whiteway had responsibilities for Safe Schools, Student Success, School Effectiveness, strategic planning, health and safety, schools and Education Centre departments. Upon becoming director of education, those grew to include overall responsibility for student achievement and well-being; leadership and leadership development; fiscal responsibility; organizational development; planning; personnel management; director/board relations; board communications and community relations; student/staff/district recognition and public relations. Savery-Whiteway has been a member of several professional associations including the Ontario Public School Boards’ Association – Labour Relations Network; North American Association of Educational Negotiators; Ontario Public Supervisory Officials’ Association; and the Association for Supervision and Curriculum Development. She has also served on the executive of the Council of Ontario Directors of Education. “Education is a people business, focused first and foremost on students. It has been my privilege to be part of public education for over 30 years. Hastings and Prince Edward District School Board has afforded me many professional opportunities. In particular, for almost six years, I have been humbled and honored to serve as Director of Education. I am truly grateful to the Board of Trustees for their confidence and support during my tenure in this role,” said Savery-Whiteway. Board members will determine next steps for finding a new director of education in the coming weeks.